Upper Crescent Lake is a stunningly beautiful desert lake that is known for good fishing and abundant waterfowl. The Potholes Canal runs through this lake. The shoreline is all private so no shore access is allowed and there is no road that allows access to this lake. I sailed on this lake from Long Lake after exiting the canal into the lake on my sail yak and had a great time. SEE the Potholes Canal Chain Lakes section for more access info. Fishing: Walleye; Large & Smallmouth Bass; Crappie; Perch; Rainbow Trout; Whitefish; Bluegill. 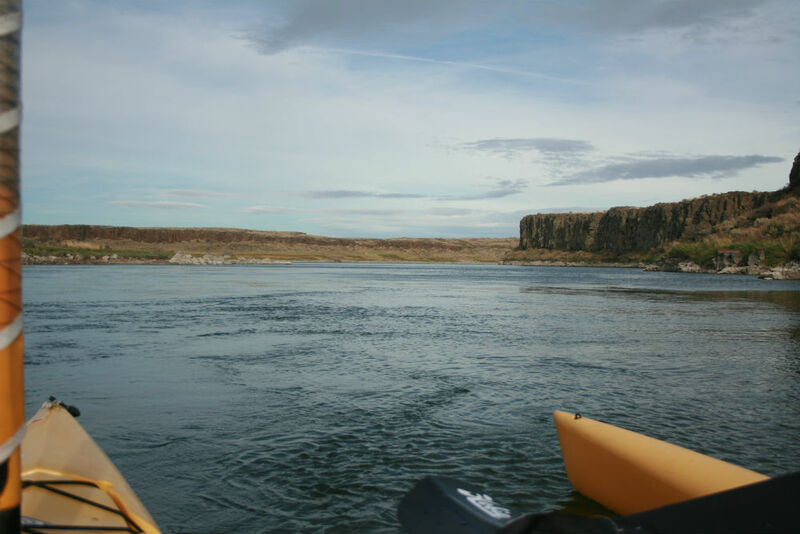 Directions: From Moses Lake take HWY 17 south toward Othello; turn right (west) on HWY 262/O'Sullivan Dam Road. Approximately 2 miles up the road on your left (south) you will see the entrance to Sheep Lake Rd. Follow this road all the way to the Long & Sage Lake sign, turn right (west) and to the boat launch. From the boat launch boat southwest to the canal entrance and proceed down the canal. Exiting from the canal you will enter enter Upper Crescent Lake. Maps: To view a map click on google.com/maps and type in, Othello, WA. pan up/north and slightly west to view Crescent Lake. ACCESSIBILITY: No access other than via channel from Long Lake... See Long Lake info.